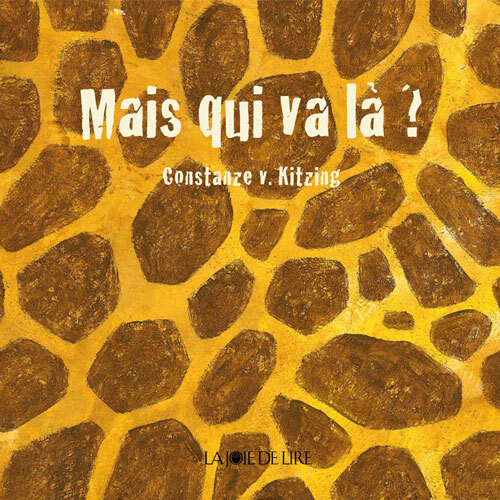 Today, Constanze works for a wide variety of international publishers, has won several illustration prizes, and is happiest to see children enjoying her books and illustrations. 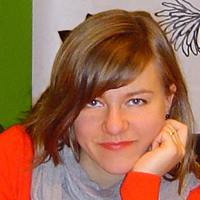 To learn more about Constanze, you can visit her website: www.constanzevonkitzing.de and follow her Blog. Enthusiastic, funny, easily stressed, committed, people-person. As mentioned before, I’ve always been drawing and fascinated by picture book, but from childhood dream to the actual profession it’s still a long way. I attended an art school for children for 10 years, after finishing school, I did a year of voluntary service in South Africa, doing educational dance and drama for a change, but then ending up producing flyers and posters there too. Back, I thought about being an arts teacher or graphic designer, I started with graphic design and discovered that I actually could focus not only on illustration but on children’s book illustration, so I switched schools and painted and painted. I was VERY proud when my diploma and first books (a series of a little lion) got published by “La Joie de Lire”, a French publisher I’ve done projects with ever since. It was also quite challenging to find a niche, as for some markets I was too artistic and for others I wasn’t artistic enough, so I learned to be flexible and to see the whole of Europe and later the entire world as my working field. A mixture of Stepan Zavrel, Bernadette Watts and Eric Carle’s illustrations (my three childhood heros), that keeps being challenged by very many contemporary amazing illustrators. Strength: Color and shape. Challenge: Perspective. Sometimes I don’t… As my husband is a musician without a regular time table too, our life tends to be rather chaotic, I try to start work after breakfast, but get distracted by housework, the desire to go for a walk, to make some tea, the internet… usually i start with paper work and emails and in the afternoon I paint. THAT I can do for hours and hours! Now that we have a little daughter, everything is different yet again. – Do what you love doing and try to be as good as you can be (my parents). – If you see something you like, be not afraid of copying it, as it will come out very differently in your own hand (my professor). Maintain personal relationships with editors and clients, quality not quantity – if you manage do both! :-), never give up, believe in the fact that what you have to offer is wanted and needed. And this ends the Mini-Interview with Constanze. Thank you so very much, Constanze! You are closing my series with the prettiest bow!